With over 25 years of experience in commercial and residential home improvements, Tuff Industries’ authorized Tufdek™ Dealer for vinyl decking in Calgary Alberta is one of this city’s most respected companies. In addition to selling and installing the trusted Tufdek™ line of waterproof decking products, our Calgary Tufdek dealer also offers commercial and residential deck railing installation as well as the installation of closet shelving, window glass, skylights, and more. Tufdek’s installation team is comprised of highly experienced journeymen and apprentices that have completed Tufdek’s comprehensive training program to ensure a first-rate installation of all Tufdek™ waterproof decking products. 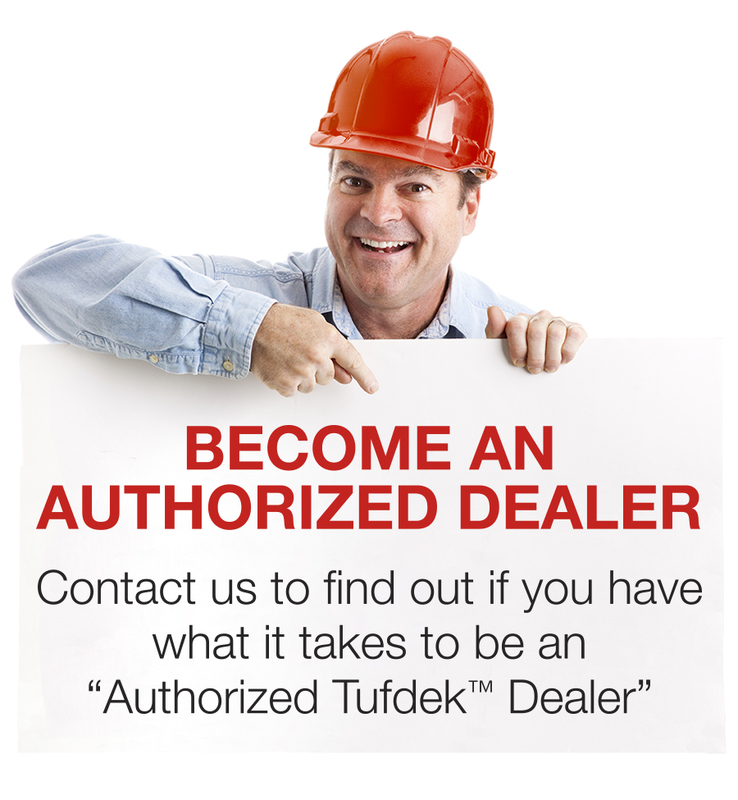 All Tufdek™ materials sold and installed by this Calgary dealer are backed by Tufdek’s™ impressive product warranty, which includes warranty coverage for the installation workmanship. This is one of the most comprehensive and unbeatable product and labor warranties in the vinyl decking industry. Contact Tuff Industries’ Tufdek vinyl decking dealer in Calgary today to learn how the Tufdek™ waterproof deck system is superior to any other similar products on the market. Tufdek offers you a no obligation, complimentary cost estimate for your project – whether you are looking for a new vinyl deck installation or simply wish to revitalize your current deck. For more information about how our authorized Calgary Tufdek™ Dealer can help you enjoy the benefits of our waterproof vinyl decking products, please call our Tufdek office toll free at 1-877-860-9333 or complete the following contact form.